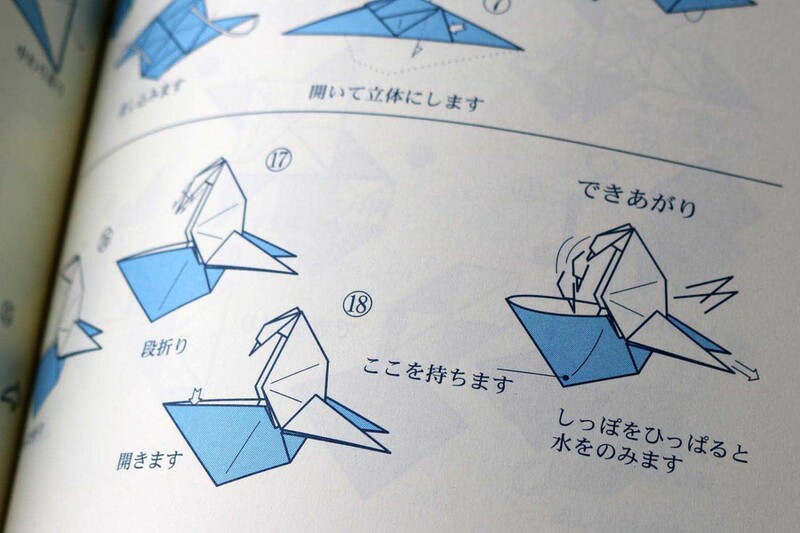 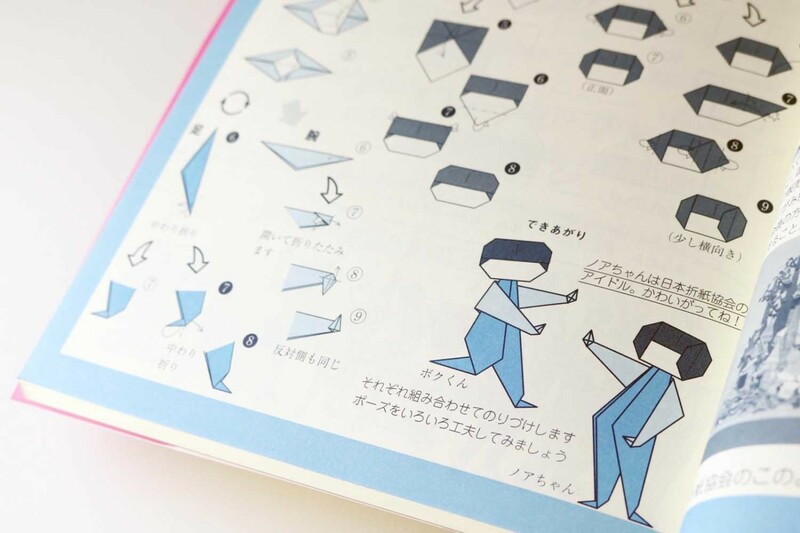 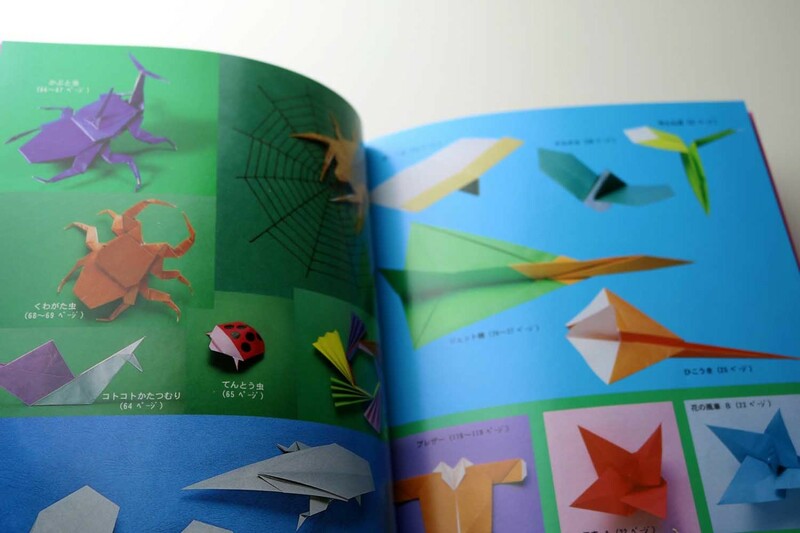 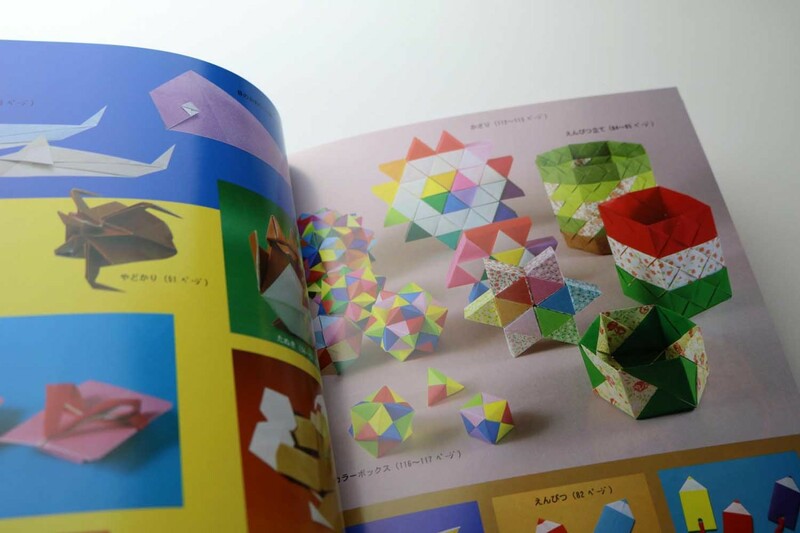 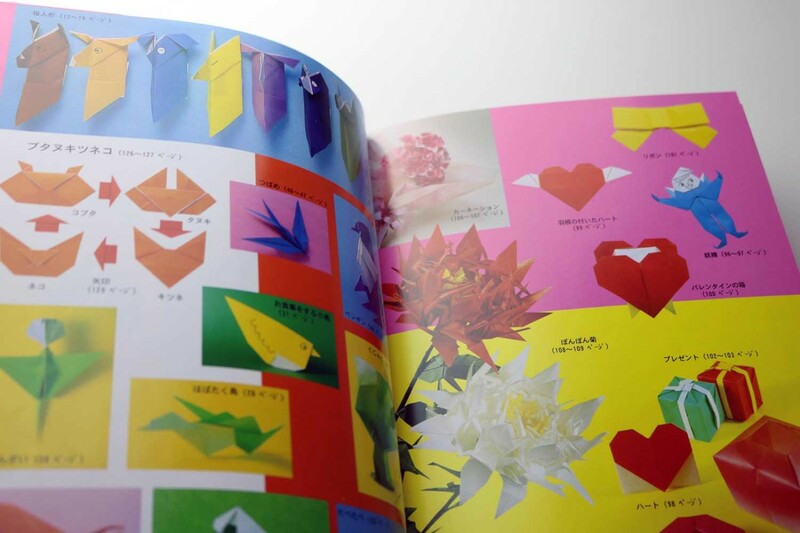 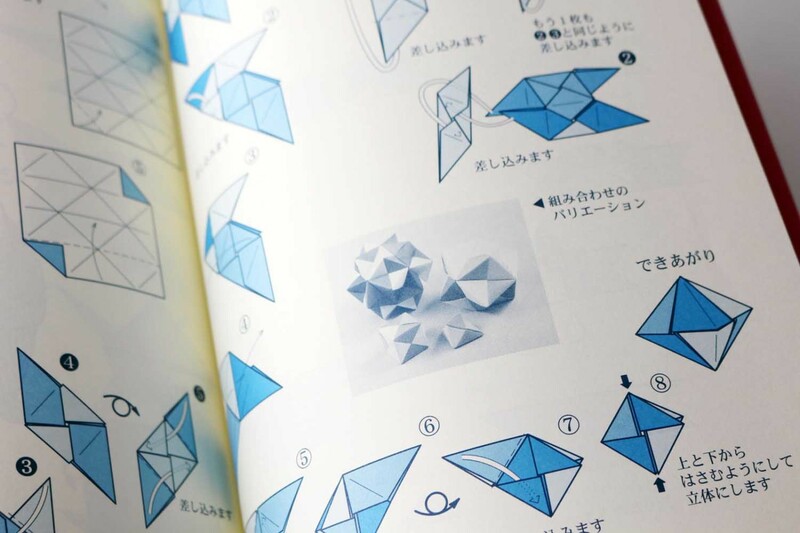 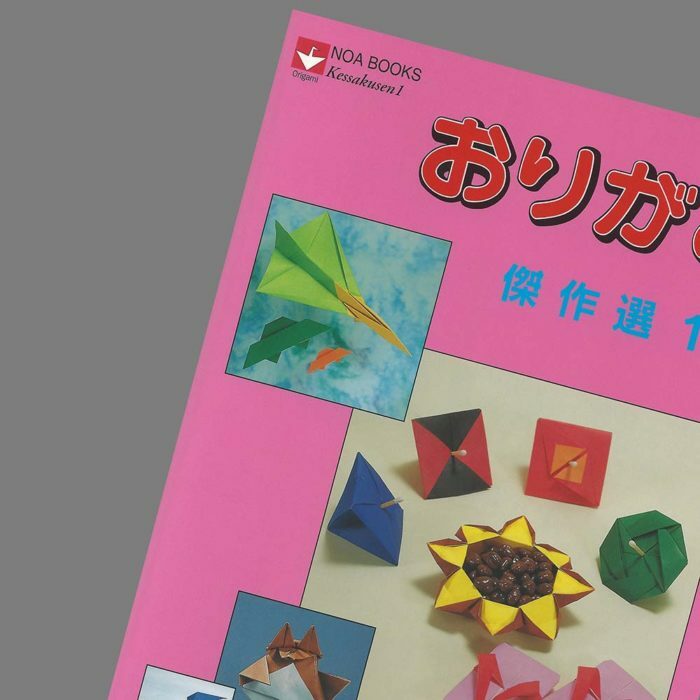 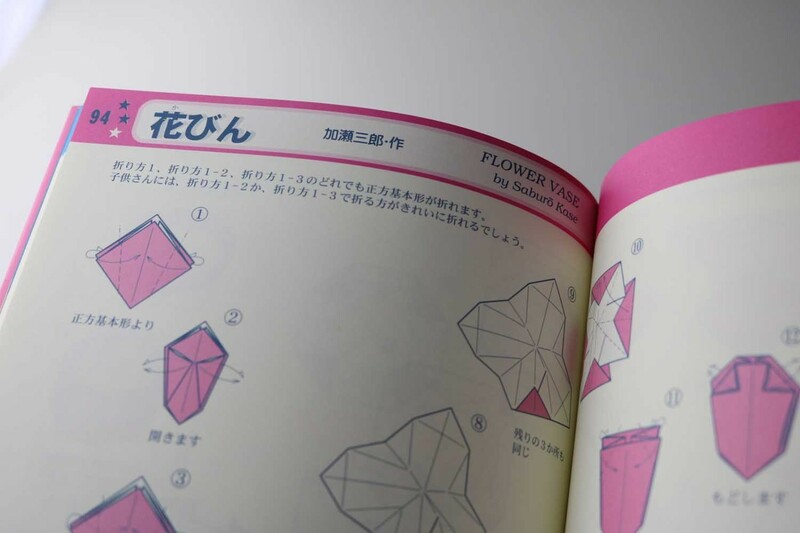 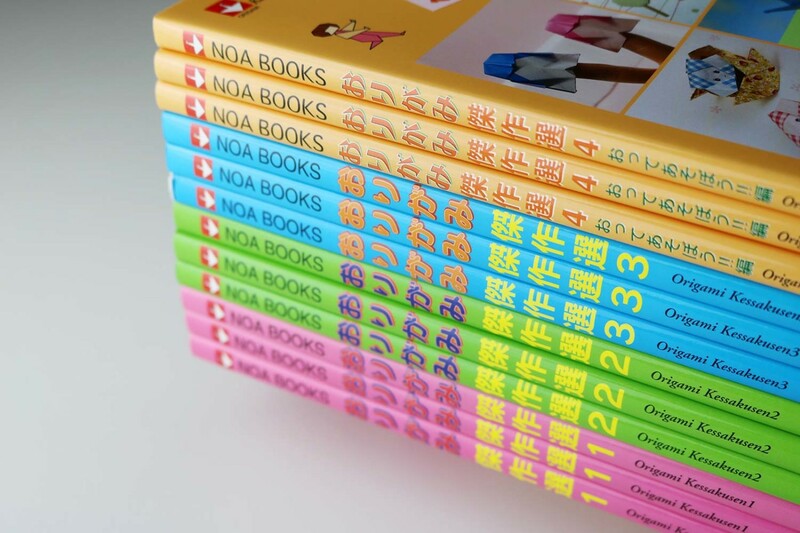 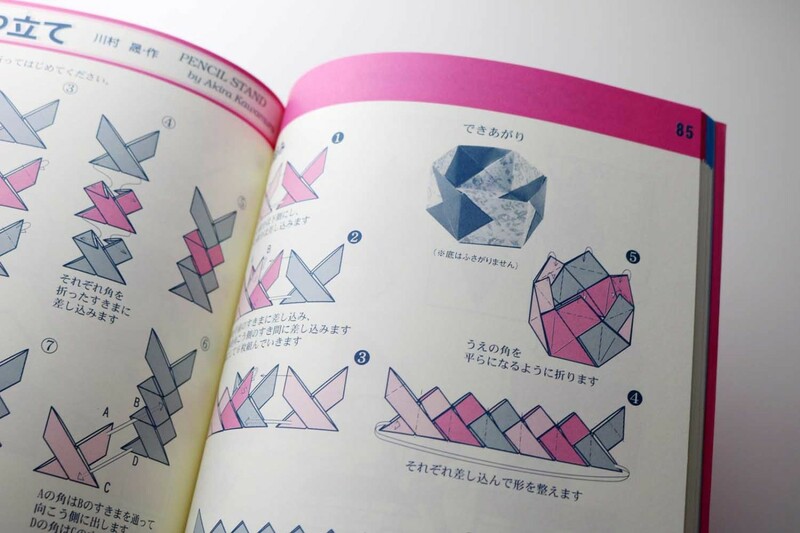 The models in this book have all been published in the NOA Magazine – the monthly magazine of the Nippon Origami Association. 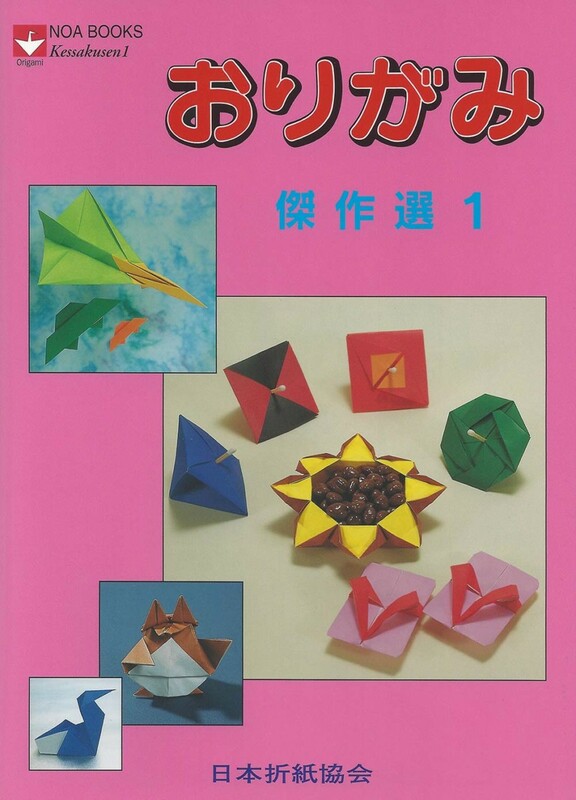 As in volumes 2 and 3, you find more than 80 models from different categories, such as playful, decorative, useful, geometric and plant and animal life: various finger puppets, wind turbines, spinning tops, flying and pecking birds, envelopes for letters and money, opera glasses, cardboard noses, penguin, peacock, swallow, crab, shark, terrier, raccoon, dog, monkey, frogs, snail, ladybird, spider, pigeon, a two-dimensional train with locomotive, freight and passenger cars, various UFOs, pens, modular and one-piece containers, trays and vases, scissors, hearts, bow, a one-piece box with gift ribbon, carnation, the chrysanthemum composed of cranes, stars and ornaments, a blazer, sprinter, geta (the typical Japanese wooden sandals) and others. 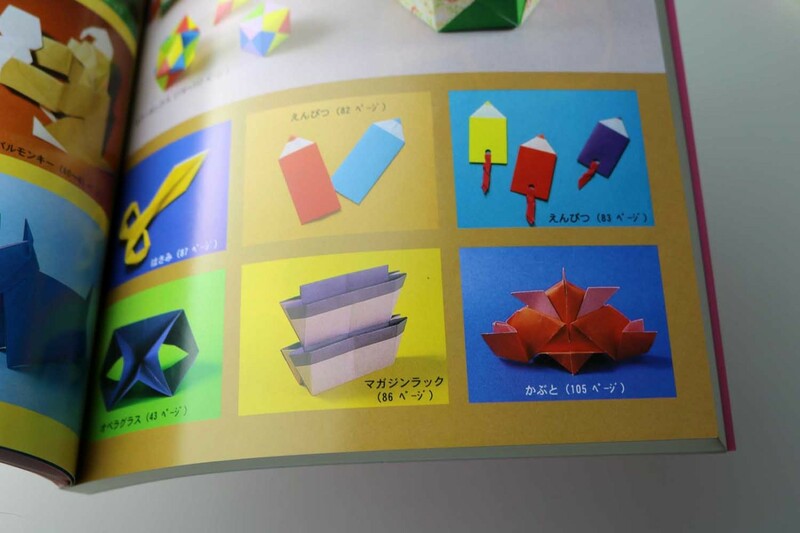 On the first 8 pages all models are shown in color photos.